Take our Dental Health Quiz! Seeking a Cosmetic Dentist? If so, you’re in the right place! Dr. Ginger Price is a Phoenix native who has been empowering smiles from her Phoenix Family Cosmetic Dental Practice since 1984. However, her impact goes beyond the state’s borders since she has also created a network of health care professionals across the USA and Canada. Local Arizona residents fondly refer to her as “Dr. Ginger” since she takes a personal, intimate interest in not only the community, but also in each patient under her care. She is dedicated to revitalizing the smiles and lives around the world. Providing unparalleled aesthetics in dentistry, Dr. Ginger Price attracts clients from across the globe. Her unique aptitude to create smile designs that dazzle is the result of her talents derived from her fine arts background blended with her cosmetic dental skills. 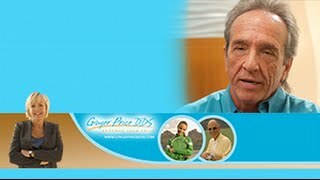 Ginger Price DDS is a trusted cosmetic dentist in Phoenix, Arizona. Our practice helps patients of all ages by restoring their smiles with a range of cosmetic dentistry services. You can have permanent beautiful teeth and a perfect smile all done in a day! Ginger Price DDS provides amazing transformations with the revolutionary Teeth in One Day technique, also known as All-On-4™. Sedation Dentistry is a great option if you one who avoids the dentist. Many people stop going for routine dental care because they are fearful about it. Good news, Ginger Price DDS is a sedation dentist, no more postponing regular checkups and repair. 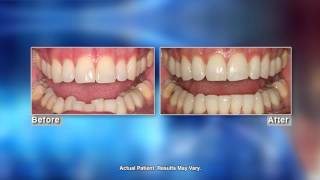 Cosmetic dentistry before and after photos. Interested in empowering your smile? Ginger Price DD family cosmetic dentistry services can help you reach that goal with amazing results that you can enjoy for the rest of your lifetime. Dramatically whiten your teeth in less than an hour. Get immediate results with Zoom teeth whitener. It’s quick and easy compared to the less effective whitening trays (or whitening strips) that take weeks to get minor results. 1. Do I need cosmetic dentistry? Cosmetic dentistry focuses on giving you a healthy and beautiful smile. You may need a cosmetic dental procedure if you have broken, discolored, missing, or misaligned teeth. 2. Apart from aesthetic value, are there other benefits to cosmetic dental procedures? Yes, there are other benefits. It is difficult to chew and speak with missing or damaged teeth. So, besides boosting your self-confidence, cosmetic dental procedures enhance your overall oral health and improve your everyday life, as well. 3. Why should I get cosmetic dental treatment from Dr. Ginger Price? Dr. Ginger Price has consistently been ranked as the top cosmetic dentist in Phoenix, AZ. But, other than her extensive knowledge in the field, she also has a deep background and training in fine arts which gives her an artistic eye to transform her patients’ smiles in beautiful ways.